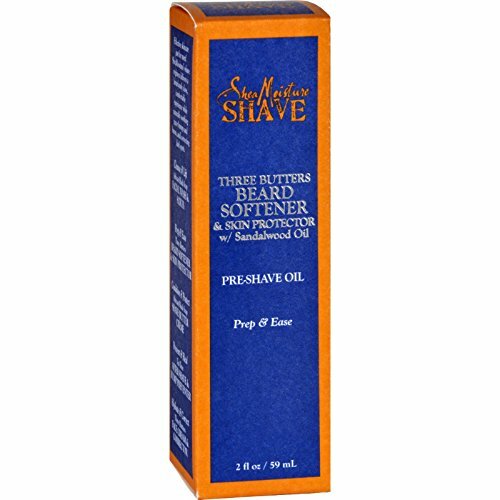 This pre-shave oil softens the beard and preps skin, helping the blade glide over for a close, comfortable shave. Coconut Oil delivers hydration while Jojoba Oil softens and smooths skin. Sandalwood Oil soothes irritation and inflammation. Made in the USA! 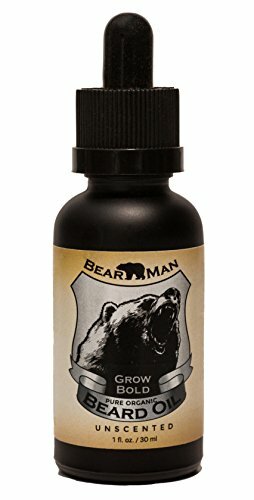 Bear Man Grooming Beard Oil is made with a Proprietary Blend of Oils to promote a healthy Beard. Jojoba Oil – Our main ingredient: Cold Pressed and Unrefined. Jojoba oil comes from the beans of a shrub like plant, and it is actually a liquid plant wax. It is bright and golden in color, has a mild odor, and is favored in the carrier oil family because of its advanced molecular stability. It also makes a great scalp cleanser for the hair, and is equally wonderful for the skin because it has absorption properties that are similar to our skins own sebum. Because Jojoba is not an oil but rather a wax, its shelf life and stability is considerably higher then most oils and rancidity is very rarely a concern. Camelina Oil: Expeller Pressed and unrefined. Contains omega-3 fatty acids and vitamin E. Great for the skin and hair. Has a natural herbaceous and green scent. Moroccan Argan Oil: Cold Pressed. This rare and exquisite oil is meticulously pressed from the fruit kernels of the Moroccan argan tree. Alive with skin-loving nutrients, Argan oil is light and easily absorbed into the skin, making it a crucial ingredient in moisturizing skin. Argan oil contains tocopherols and phenols, carotenes, squaline and fatty acids, making it a truly luxurious oil. Unlike many commercially-available varieties of argan oil, ours is not deodorized and does have a pungent aroma. Evening Primrose Oil: Cold Pressed and Partially Refined. Filled with Fatty acids such as GLA makes it terrific for keeping hair follicles healthy. Vitamin E: Vacuum Distillation and Unrefined. Derived from non-GMO soy sources. Vitamin E that is derived from Soybean oil gives a composition rich in delta and gamma tocopherols, which is a natural choice for antioxidant function. These rich and luscious oils are contained in a solid black bottle which is superior in keeping out UV rays and extends shelf life. Creates a Healthy Looking Beard with Shine and Manageability. Anti Static Effect. Comb and Brush Through with 100% Boar Bristle Brush or Natural Peach Wood Comb. 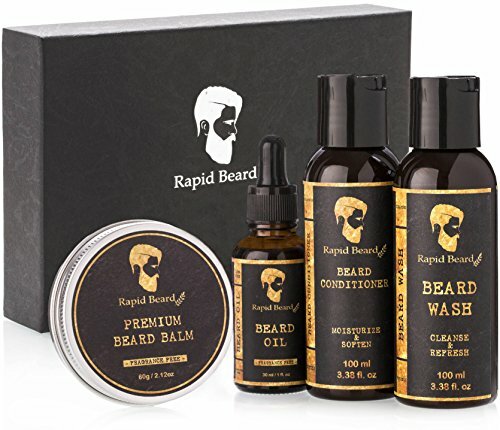 Great addition to your BEARD CARE KIT! Black Bottle to extend SHELF LIFE! No UV Rays or anti-oxidizing effects. – Is your beard making you look scruffy while other men look great with their beards? – Has your beard become too much to handle and causing dry skin, irritation and beard-druff? – Want to regain that long lost fresh and healthy feel again? No need to shave off the precious beard you battled out to grow! We know exactly what your beard wants and that’s your care! 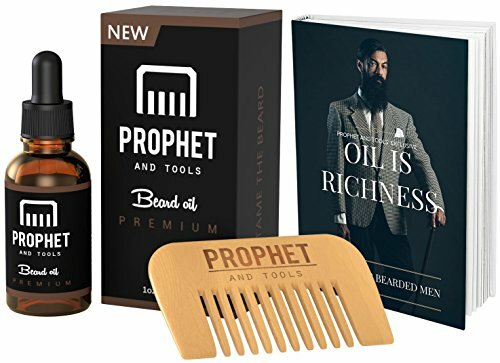 Prophet and Tools Beard Oil will do the softening, smoothing, and hydration to make you and your beard feel good again. It’s not just a product, but a product with thought! – Made with 100% natural vitamins and oils. – Unscented with no added perfumes. 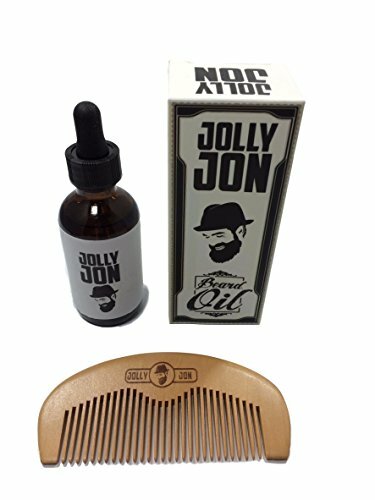 – Includes a free pocket beard comb to use on the go (comb style and color may vary). We have gone full out to make sure our Premium Edition Beard Oil is the best on the market and we have backed it up with a 100% Money Back Guarantee! Grab this Limited Edition NOW! ALSO CHECK OUT OUR NEW MOUTH-WATERING BEARD BALM! 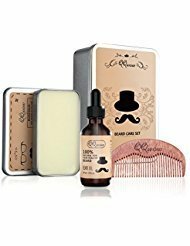 THE MANLY BUNDLE – 30ml Premium Beard Oil + beard comb + beard care ebook = the complete manly package! Your very own retro beard comb is super strong and won’t snap inside your pocket! Read everything a beard owner needs to know in the ‘Oil is Richness – A Guide for Bearded Men’ ebook for free! Contains instructions, tips, advice, beautiful diagrams and facts! 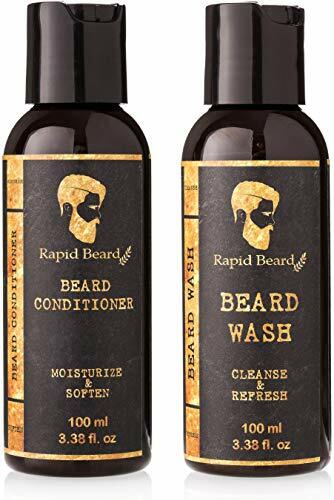 A must-have to keeping your beard in top-notch condition for the long run! RESTORES, PROTECTS & FULL OF WONDERS – Quickly soaks life back into the hairs right down to neglected skin areas. Treats split ends, reduces irritations, eliminates flakiness, de-tangles hairs, promotes healthy, faster beard growth and much more! You can also use it on dry scalp, face or hair as a medical treatment. UNSCENTED & 100% PURENESS – No stinky perfumes, no allergic nuts, no damaging alcohol, No unwanted hidden intoxicated chemicals you find in products today! Repels against harsh sun rays in the summer and the cold breeze in the winter from harming your beard. All Natural ingredients to make sure it works on all race and ethnics! SUPER EASY TO USE – Perfect bottle size to handle and is easy to store. 1-3 drops will go a long way. The beard oil will last for 24 months before expiring. Can be used after showering, trimming, before sleep – however and whenever you want! PREMIUM QUALITY – Made with top-quality materials. Vegan suitable and Animal Cruelty-free assured. This is the perfect gift for any man with a beard of any size, so be sure to buy this for your friends and family! Receive 10% off if you buy 2. Use Promotion Code below. Discover the numerous refreshing purposes of InstaNatural’s Fractionated Coconut Oil. With InstaNatural, rest assured you will receive the best customer care and highest-quality Coconut Oil around. Refreshes & Hydrates Head to Toe – InstaNatural’s Fractionated Coconut Oil is a 100% pure product that instills unsurpassed moisture and softness for men and women with dry and rough skin on the face and body. This coconut oil comes in a lightweight formula, which makes it easy to use and apply anywhere from your face to your hands to your feet and ensures that you’ll see a wealth of results no matter how you choose to use it. Packed with Antioxidants – Not only is this coconut oil lightweight, making it fast-absorbing and non-greasy, it’s also packed with antioxidants from the Vitamin E coconuts contain. This means that InstaNatural’s formula provides your skin with ultimate protection against signs of aging, sun damage from harmful UV rays and will even help ease irritating acne, giving you softer and smoother skin in a simple but powerful product. Restore Dry & Lifeless Hair – This pure and fractionated coconut oil is perfect as a nourishing conditioner to remedy dry and damaged hair because it provides the moisture your hair needs to regain its soft silkiness and shine that it may have lost from overexposure to heat or styling products. It’ll also fight frizz all day long when just a little is applied after your shampoo. 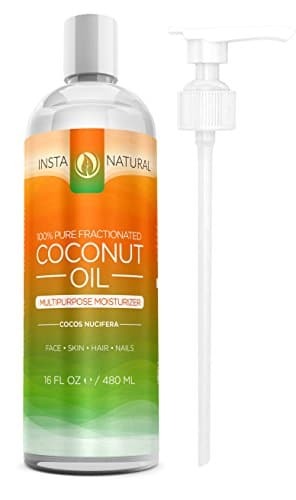 Pure & Premium Formula – InstaNatural only extracts the most nourishing liquid from coconuts (Cocos Nucifer) to ensure that your skin, hair and nails receive the best possible nourishment without any unwanted toxins or pesticides. By giving you only the most premium ingredients, you’re sure to see the ‘before and after’ results quickly and easily. Best All-Around Oil – This coconut oil isn’t just good for making your skin softer and your hair healthier; it has a ton of other unconventional DIY uses that may shock you at first but will leave you pleasantly surprised. You can use this product as a great stimulating massage oil, lip balm, shave gel, makeup remover, nail strengthener, cuticle softener and more. Fractionated Coconut Oil – extracts only the best part of coconut oil to create the best carrier oil and massage oil on the market! If You Don’t Feel That This is the Best Carrier Oil and Moisturizer You have Ever Tried We Will Give You a 100% Refund. We offer a 100% Satisfaction Bullet-Proof Money Back Guarantee! If you are not satisfied with our premium fractionated coconut oil for ANY reason whatsoever, simply send us a message and we will instantly refund 100% of your money. Our customer service is passionate about making sure you are happy! 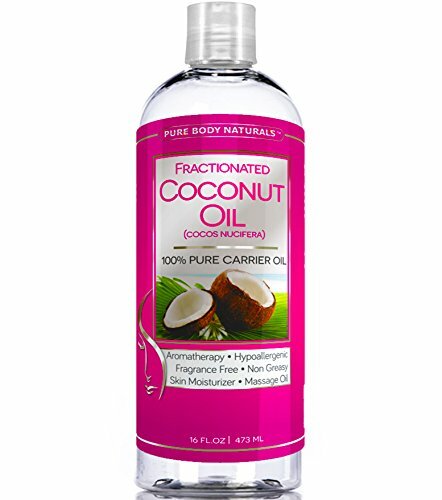 OTHER AMAZING USES – Fractionated Coconut Oil is one of the most versatile oils. It is a great replacement for other traditional carrier and base oils as it has a very long shelf life. You can use it in your hair as a moisturizer, coconut shampoo, eye make up remover, shaving cream, massage oil, aromatherapy, natural deodorant and face wash. It readily absorbs to soothe dry skin making it the ideal oil for topical applications and many other household uses. ESSENTIAL OILS BASE – Fractionated Coconut Oil has a longer shelf life and being odorless can be used to replace or blend with any of the more traditional oils such as, Avocado oil, Aloe Vera oil, Almond oil, Apricot Kernel oil, Calendula oil, Jojoba oil, Rosehip oil, Wheatgerm oil, Evening Primrose oil, Grape seed oil, Hazelnut oil, Walnut oil, Macadamia oil, Sesame oil and other traditional base oils. ►WORKS OR YOUR MONEY BACK◀ Lifetime 100% Money Back PROMISE if you are not satisfied in any way. Just Send Us a Email and we will refund you in FULL, and there is no need to even return the bottle ★ OUR STOCK OFTEN SELLS OUT FAST ★ so be quick and order yours today. HOW FRACTIONATED COCONUT OIL IS USED – Fractionated coconut oil used in many health products, hair care products, lotions and soaps. It is ► ODORLESS, COLORLESS and has NO GREASY FEELINGS ◀, does not stain and easily washes out of clothing and sheets. 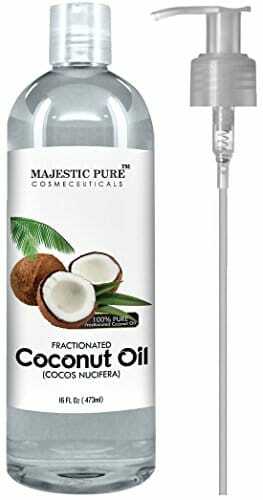 It is thinner than unrefined coconut oil and readily absorbed by the skin and leaves it feeling subtle and moist. It is widely used in aromatherapy and excellent for using in massages and will not clog pores. It is a great carrier base for using with essential oils too. ►PREMIUM BENEFITS – Fractionated Coconut Oil has so many advantages over coconut oil as it is always in liquid form (unlike traditional coconut oil) and still maintains all its great properties. It has been highly purified and primarily contains the fatty acids capric and caprylic acid. It has a very long shelf life and is great in cooking as it can withstand very high temperatures and ideal for many dishes as it has a clean pure taste without the impurities that traditional coconut holds.